From a beautiful oceanfront ceremony overlooking El Arco to a sophisticated soiree on the terrace of a luxury resort, Los Cabos offers a plethora of stunning locations to exchange vows. Salamander Hotels & Resorts specializes in providing jaw-dropping backdrops or momentous occasion, while its dedicated team of specialists ensures every memory is a life-lasting one. The island’s premier event venue, the Shoals Club offers stunning views of the Atlantic along with outstanding cuisine. To make sure your wedding event goes just as you planned, the Shoals Club’s Event Division can help you attend to every detail, allowing you to relax in confidence and join your guests in savoring the celebration. Akua by Event Design Group is dedicated to the design and development of events and unforgettable floral arrangements. With over 20 years of experience in corporate and social events, birthdays and weddings, our goal is to exceed all expectations and achieve complete client satisfaction. 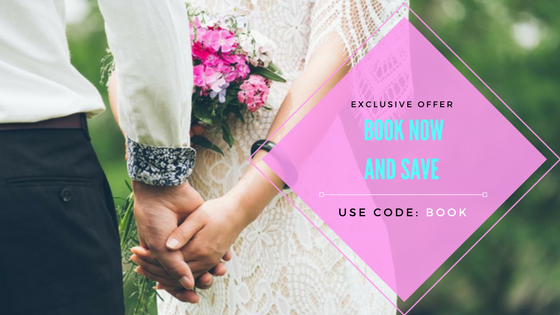 The Aloft Delray Beach-will offer brides a true destination wedding location in warm and sunny South Florida, providing couples with an unforgettable experience and first class service. Belize-Catering to either laid back or thrill-seeking couples, Belize is one of the most romantic locales to declare your vows, providing exuberant jungles or seafront vistas to profess your love. Destination wedding services and accommodation, we offer personalized wedding packages, exclusive and original weddings on the beach with the professionalism of our qualified team of wedding specialists. Something old, something new, something borrowed and something blue all for you at British Colonial Hilton in Nassau, Bahamas. Catalonia Hotels & Resorts is a Spanish company that offers lovely all inclusive hotels in Mexico Rivera Maya and Dominican Republic Puntacana and La Romana. Perfect for weddings, honeymoons or just a love getaway. Courtyard by Marriott Isla Verde Beach Resort offers a unique oceanfront location for your memorable event. Imagine your breathtaking sunset ceremony will our team ensures that nothing is left at chance in a celebration that will exceed every expectation. Curtain Bluff Resort with it's 72 rooms and suites situated between two pristine beaches. This all inclusive luxury property makes it an ideal setting for an authentic Caribbean destination wedding. Let El San Juan Hotel be the backdrop for your special day with modern tropical splendor and old-world elegance the beachfront hotel continues to be one of the Caribbean’s most desired retreats. Explore the breathtaking Grand Hyatt Baha Mar resort in Nassau, The Bahamas. With 1,800 guestrooms suites and villas, luxury and relaxation awaits at our world-class restaurants, spa, golf course and casino. A destination in itself, set on 400 acres of manicured grounds with two miles of beachfront. Half Moon has consistently been voted one of the top romantic destinations in the world. Your dreams can become a reality in our Caribbean paradise. Hilton Los Cabos Beach and Golf Resort is the elite choice in Mexico Luxury Resorts and our Wedding Services live up to our reputation. We promise to bring your dream wedding to life with the complete wedding package; event spaces that flow with effortless elegance, unique wedding designs for lasting memories. Hotel Aria is one of the finest hotels in Coconut Grove with panoramic views of Biscayne Bar, world class cuisine, impeccable service and laid-back luxury at every turn. Hotel Aria is a premier destination in the area. Impeccable architecture and design, ocean views and inspired cuisine set the stage for your big day. Hotel Californian offers outdoor venues, rooftop spaces featuring panoramic ocean and mountain views, and light-filled indoor venues perfect for your ceremony, reception and late-night revelry. Set the stage for an unforgettable experience at JW Marriott Los Cabos Beach Resort & Spa. Boasting a brilliant beachfront location in San Jose del Cabo, where the Sea of Cortez meets the Pacific Ocean. La Concha is a modern luxury resort offering Latino chic hospitality, sophisticated accommodations and it is the perfect location to host your destination wedding. Our beachfront resort invites you to flirt with life and live the experience. LUXE is a full service destination wedding travel agency and wedding planner specializing in weddings in the Caribbean and Mexico. In Martinique, you’ll find a unique combination of French savoir-faire and Creole joie de vivre amidst beautiful natural surrounding. An island this beautiful has to be the ideal setting for romance! A romantic location in the heart of Salento, Masseria Borgo Mortella is an ancient, family owned, farmhouse turned into resort surrounded by 25 acres of olive trees. The beauty of the surroundings along with the charm of the Mediterranean nature will provide a magnificent setting for your big day! Mauna Kea Beach Hotel, located on the sunny Kohala Coast on the Island of Hawai’i, is a resort of classic luxury, upholding a timeless tradition of Aloha. Whether it's a dream destination wedding in a castle in Ireland, honeymoon in Maldives, or a proposal under the stars in a desert in Morocco, we work with our partners around the world to create the most magical time in your life. Our wedding services extend to celebrity makeup artists, hair stylists, wedding website design, custom gifts, and wedding favors.